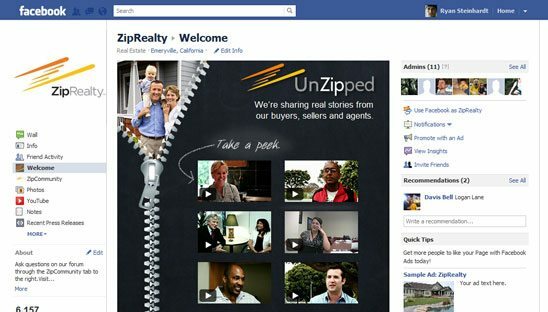 ZipRealty provides home sellers and buyers with an innovative real estate website. Our licensed ZipAgents have years of experience in the areas they serve, and are active members of their local, state and national real estate and MLS associations. In addition, our website provides a step-by-step approach to guide our clients through the home selling and buying process. With the supplied artwork, we were able to create this custom Facebook video contest tab. After you LIKE the page, you will be able to click on the upload video button and upload your personal video. We also placed a few of the thumbnails that link to the video gallery.